Dallas Women Lawyers – Elevating the standing of women in the legal profession. 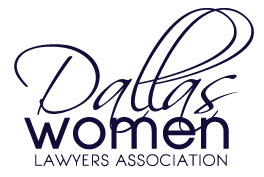 The Dallas Women Lawyers Association is a non-profit organization uniting for the mutual benefit of women attorneys and to elevate the standing of women in the legal profession. In 1968, a group of female attorneys in Dallas began to meet regularly to prepare programs and activities for the ABA Convention to be held in Dallas in 1969. After their success at the ABA Convention, the group continued to meet informally for mutual support. Founding members include Louise Raggio, Judge Sarah T. Hughes and Joann Peters. From these early meetings emerged the Dallas Women Lawyers Association (DWLA). By 1980, DWLA was meeting for regular monthly luncheons at the Belo Mansion. In 1984, DWLA incorporated as a non-profit organization, and included in its purposes uniting for the mutual benefit of women attorneys and elevating the standing of women in the profession.